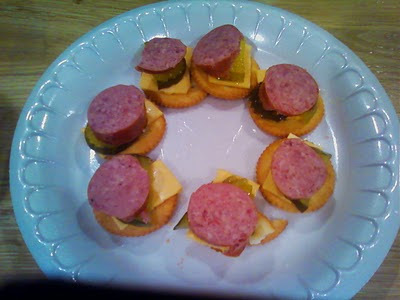 Ritz crackers with American cheese, pickles, and kielbasa. 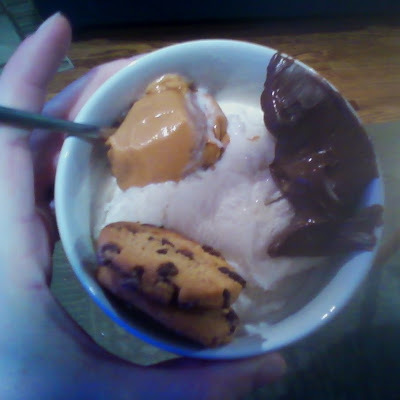 Vanilla ice cream with a scoop of honey-roasted peanut butter, a scoop of Nutella, and two chewy Chips Ahoy cookies. Did I mention that time I had a peanut and butter sandwich for lunch...with lettuce, pickles, and cheese? 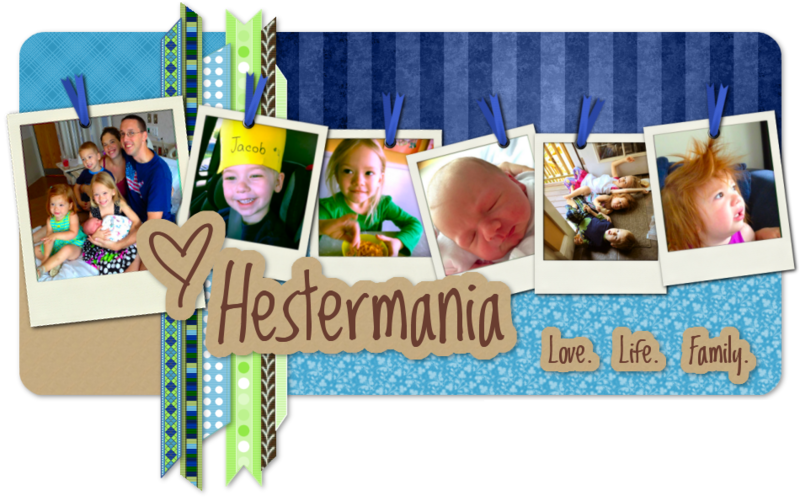 Yeah, that was awesome. Uhm! from one pregnant woman to another....... YUCK! ha ha ha.... just kidding! I do not have any 'pregnant dishes' to share, but if I do I will def let you know. You're "Prengnant"??? Hmmmm...I guess you didn't have spell check on. (hehe) Yummy to the ice cream dish! I'm NOT even prengnant and I have these cravings. Wuz 'sup wit dat??? oh...I did eat a lot of ice cream though!